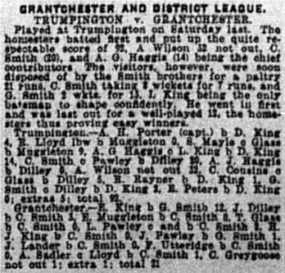 The article below was kindly sent to us by Wendy Roberts of the Trumpington Local History Group. 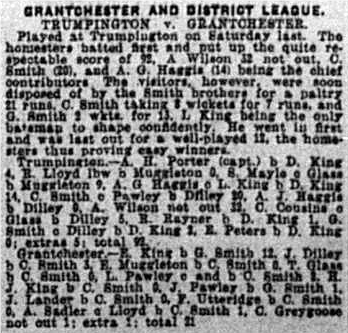 It covers the history of Trumpington’ Cricket Club from 1874 to 1983 and on several occasions as you will see Trumpington and Grantchester amalgamated so it is part of our history too! If you can add anything, especially about what happened to TCC after 1983, please leave a comment or contact us via the form in the sidebar. Many thanks, Wendy and the Trumpington Local History Group!